EXACT!!! 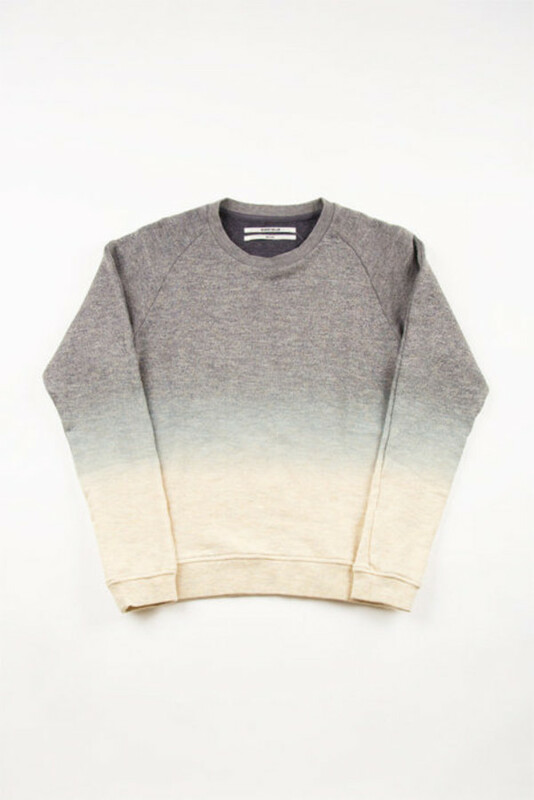 This is ROBERT GELLER Gray Dip Dyed Sweatshirt. Unfortunately it is sold out, but you can sign up to be notified when its back in stock here : http://www.lyst.com/clothing/robert-geller-grey-dip-dyed-sweatshirt-gray/ . 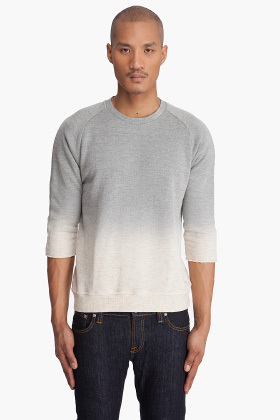 Btw, This is a very simple technique and this sweater is not worth that much. Let me know and Ill find some so cheaper just as good sweaters made in the same process. I got one in blue from Kohls for $20 :) Hope this helped!